The French Brothers Alphonse and Theodore Carmagnolle build a very special atmospheric diving suit. 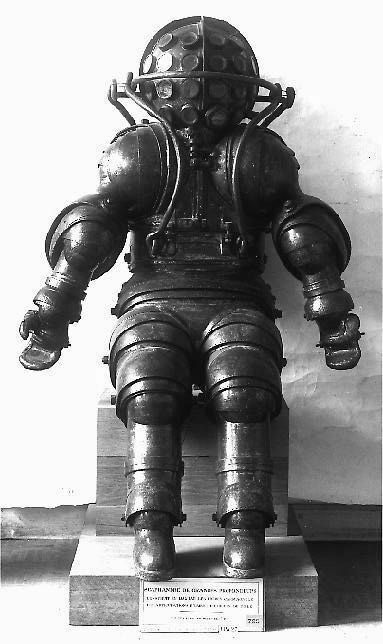 The suit was intended to be used for greater depth than standard diving gear was used for in those days. Vincent Roc Roussey wrote a fantastic article about the suit and it is hosted on my collegue's website Divingheritage. The article can be found using the link.